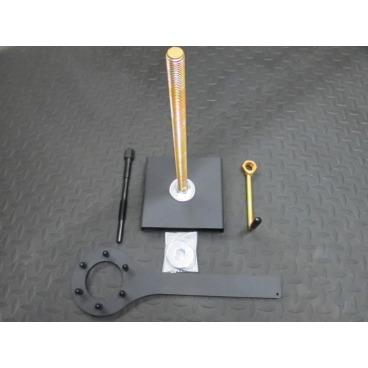 Ace Clutch Tool Kit - Grip N Rip Racing LLC. Here is the complete clutch tool kit needed to work on the Ace 600 & 900 Sleds. This tool kit contains everything needed to disassemble both clutches. The compressor with base is used on both the primary and secondary clutches. Note: This kit also works with XR sleds with the 1200 4 stroke motor and E Drive 2 primary clutch. The 1200 comes with the fixed sheave secondary clutch so you will need the Clutch Tool for the QRS secondary as well.